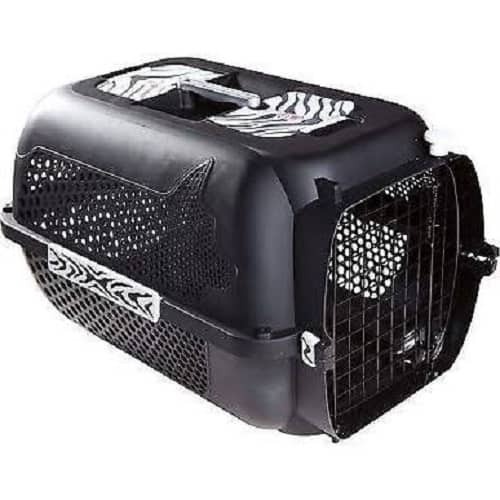 These pet carriers for cats are strong, durable and safe. The Hagen Catit Style Voyageur cat carriers are the perfect way to transport your pet around. The Hagen Catit Style Voyageur cat carriers are the perfect pet carriers for cats. They are strong, durable and a safe way to transport your pet whether by car, train or bus. Suitable for large cat breeds and small dogs. 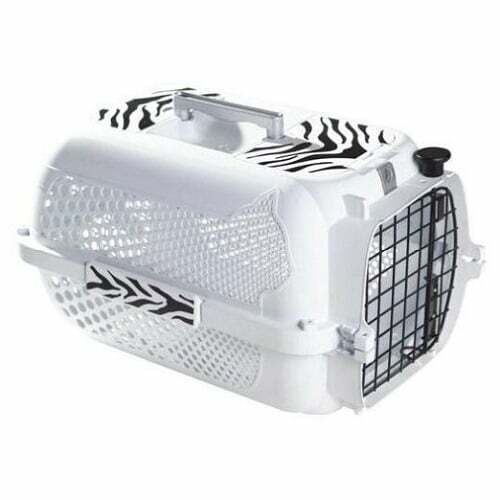 Available in black or white with matching tiger stripes for a distinctive modern look. Designed with plenty of ventilation and air flow. Pets sometimes feel stressed when travelling, so it is designed with groves in the bottom to help keep them dry from urine. Pet Carriers for Cats Dimensions. Make sure you introduce the carrier slowly to your pet. First leave the door open when your pet is around and allow then to go inside and explore in their own time. Then close the door when they are inside, for short periods of time initially and increase the length of time with the door closed. Then try short trips in the car in order to make you pet as comfort as possible in their new home.